Get My Personal Presets for FREE! 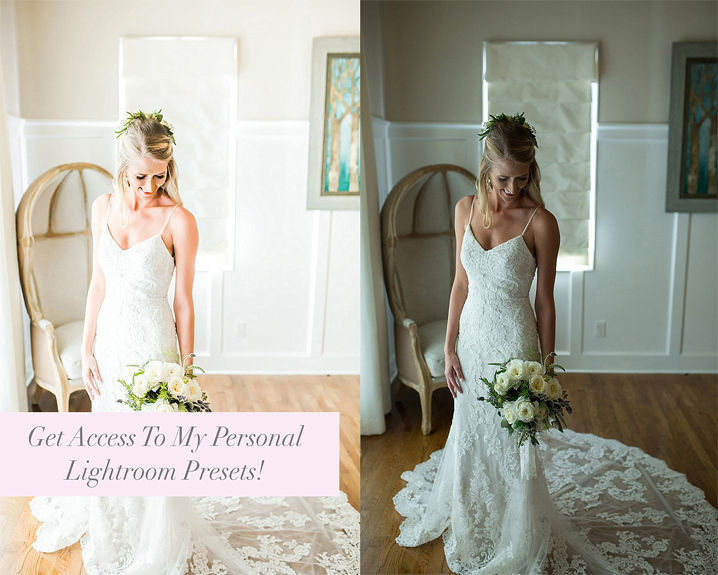 Download my 4 favorite presets that I use for every wedding to achieve bright and airy photos! Lightroom Editing Presets + BONUS Editing Video! I am so excited to be sharing not only my favorite personal presets, but also a bonus video on how I actually edit with each preset!! So what's all included with this download?! You are getting my 4 favorite and most used Lightroom presets for light and airy photos!! PLUS - You are getting a bonus video that shows exactly how I use these presets to edit 10 different images!